To begin, transactional coaching is really focused on the outcome and getting that win! The process of how the win is achieved through practice and teaching lessons to the athletes is only secondary to actually receiving the gold medal in the tournament or game. The coaches are only looking to improve the immediate performance of that young athlete and only concerned with the competency levels, skills and techniques with winning as the bottom line and the only option. This type of coach actively seeks out the strongest, fastest, and biggest players in order to make the team better and win. I have currently witnessed this coaching style this past weekend at a tournament. The individual I am currently coaching for, is more of a transactional leader because he focuses on obtaining those best players to get the win for his ego and the organization. 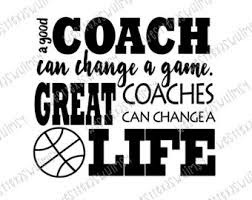 This coach uses the tactics of yelling at his players while on the court, during game play; not to mention, these young athletes are under 11 years of age, just wanting to develop their game and have fun! The coach yelled at this one young athlete and didn’t previously know him before the game, this was not good because now this athlete is literally afraid to play for this coach. This coaching style does not improve the young athlete’s confidence; rather, destroys them physically, emotionally, and mentally. These athletes will eventually believe that they are not good enough to play the sport and quit or just have a higher potential to get injuries from burnout situations. Furthermore, the second coaching style is transformational coaching. This style engages in more of a holistic approach, focusing on the individual person as a whole, not just with sport, but in other aspects of the individual’s life – school, work, and social. This coach acts as a positive role model to the athletes and gives consideration to all aspects of development such as work ethic, motivation, behavior, skills and techniques. This coach has the ability to affect not just the individual athlete but also create an optimal environment for the entire team to learn the life lessons and many aspects of sport. This coach is all about the development of young athletes working on skills as well as those outside of the sport (social, emotional, and mental aspects of life). Interacts with parents of the athlete, when appropriate to the situation – asks for thoughts, comments and opinions on the season, number of games, etc. Throughout the time I have played sports and also observing coaches now, I have seen a number of various coaching techniques and how it can positively or negatively affect the players’ development and interest for the sport. Although the differences between these two coaching styles are great, the main difference between them is that the transactional coaching style focuses on the short-term concepts such as individual performance, achievements and outcomes. In comparison to the transformational coaching style, where the focus is on the long-term concepts working with the individual as a whole, through the holistic approach, where the coach is also involved with developing skills outside of the sport. There are definitely more coaching styles than these specific two; however, in my opinion, the best coaching style for the young athlete is transformational as coaches should be able to connect with their athletes based around more than just the individual sport and the outcomes involved, such as wins or losses. As a coach or parent, you should be able to be a part of the young athlete’s life and allow them to have a positive role model to look up to during an important phase in their life. I think that when I first started coaching, I was a little bit of both coaching styles as I just came off playing basketball myself and still having that wanting to win — competitive — mentality, all about winning. However, as I have adapted to the coaching lifestyle and how different it is compared to being a player of the sport, I realized it is very important to be a part of that young athlete’s life, the ability to make them into a better player in the given sport, and have them look at you as someone they can look up to in their life. Furthermore, parents can play a role in these coaching styles as well. I have definitely seen some parents punish their children for losing games or making a minor mistake and are all about that ‘winning mentality’; however, I have also seen the parents that are supportive of their child no matter what happens, also acting as that positive role model figure. Both coaches and parents must be able to provide their young athlete with an environment that helps them succeed rather than lose interest in the sport. Be a great role model, provide constructive criticism when needed, and engage with them with specific topics outside the realm of sports to help facilitate development. Let’s not focus so much on the team’s record; rather, how the athletes are developing as players and individuals in their community! What type of coaching style do you currently exhibit and which one do you think best benefits the young athlete? Let me know your thoughts, comments, and opinions in the section below!